This was a nice break from the continental battles as Richard Sharpe has to navigate his way through England to find and reclaim the men that should have been sent to his forces in Spain. It's got wonderful hefty amounts of Sharpe angst and fury, and while the bad guys are a little too over-the-top bad, that's mitigated by several lesser baddies who have redeemable qualities. 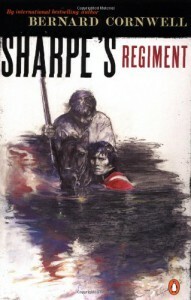 But if you like Sharpe's character - which I absolutely do - you'll like this book.